The 5th UK in the Aurora Programme Meeting. November 11th 2016, Royal Astronomical Society, London. Forty years after the Viking mission landings on Mars in 1976, our view of Mars as an inactive, basaltic planet has changed radically. Recent results from Mars Science Laboratory show localised silica enrichments and evolved igneous rocks within the clasts and fluvio-lacustrine sediments of Gale Crater. Crater counting on lava flows in the northern plains suggest volcanic activity on Mars within the last 100 Myr. More martian meteorites are being identified we are finding new evidence for magmatic differentiation in an impact breccia meteorite. The martian meteorites also record hydrothermal alteration of the martian crust, and one of the major questions is whether this is related to impact processes. HiRISE and CRISM are providing a complementary understanding of the mineralogical record of Mars. These questions are also of major importance in the selection of the ExoMars 2020 Rover landing site. 1. Whether the ancient Mars environment experienced chemical weathering and associated major compositional and mineralogical changes. This debate will be used to inform the ExoMars Rover landing site selection and a better understanding of the past atmosphere and habitable conditions. 2. Ancient alluvial networks and the evidence for and implications of a northern ocean. 3. What igneous differentiation did Mars experience? Are there widespread intermediate or alkaline rocks and what controls are there on their formation: impact, crystal fractionation or the presence of ancient feldspathic, continental crust? 4. Communicate recent developments and opportunities in the Aurora terrestrial planetary science including Trace Gas Orbiter and Schiaparelli. 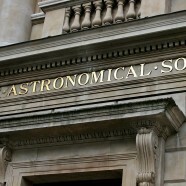 This will include a talk from Sue Horne, UKSA about UK planetary science options and activities. Please email the organisers if you would like to give a talk or poster. Abstracts should be 100-200 words and give the presentation title, authors and their affiliations.